While the 12th Five Year Plan endeavors to change India, we invite you to help us change the way we see the vision for the nation. Hack the Plan over a 2-day period, create out-of-this-world visualizations of the future, tell the next big story in a myriad ways and build apps to fuel the change. WHAT EXACTLY IS THE 12TH FIVE YEAR PLAN? The 12th Plan sets the vision for the next five years of growth. It is a document which advises the Government (Centre and State) on initiatives which will improve all walks of life. From education to environment and from water to space, you name it we have it in the Plan. It is a two-day event. Join your supreme innovative skills with your knowledge of the 12th Five Year Plan and create visualizations, short films or applications which will blow us away. You’re welcome to submit more than one entry in any category or in multiple categories. In the first two categories (visualizations and short films) you will need to visualize the benefits of the Plan and communicate the benefit. In the third category (web/mobile apps/edutainment games) you may create apps which will support the initiatives outlined in the Plan or educate about the focus area of the plan. Here are some examples of what infographics could look like. Here is an example of the infographic on Wildlife (Tigers in India). The following videos are good examples of what a short film may be like. You may look at them as references for your own video attempt. Disclaimer - "(only examples, not to be considered as endorsements)"
WHAT SECTORS SHOULD WE FOCUS ON? WHO IS ORGANIZING THIS HACKATHON? The Hackathon is being organized by the National Innovation Council and Planning Commission in collaboration with partners. Anyone can! Maximum number of participants per team is 4. We suggest you form teams with people from different professional and educational backgrounds such as students, professionals, public servants etc. Yes, you can submit more than one entry in any or multiple categories. No, you can participate in this event only in one team. CAN I PARTICIPATE ONLINE AS WELL AS ON LOCATION? No, you can either participate online or at a location. I DON’T KNOW MUCH ABOUT THE PLAN. HOW CAN I PARTICIPATE? You will be provided good sources of information to quickly grasp the contents and the vision of the plan. Alternatively, you could post your query on the FB Hackathon discussion page (https://www.facebook.com/events/429077687178738/) and we will respond. WHO IS RESPONSIBLE FOR OUR TRAVEL EXPENSES? Unfortunately, we cannot reimburse you for your travel or any other expenses and that cost shall have to be borne by you. CAN I SUBMIT ALREADY DEVELOPED WORK AS AN ENTRY? No. Previously developed content is not permitted. No. Registrations close midnight 4th April. Register on our website (Registration process and details given separately in the “Resources” section). Registrations close at midnight 4th April. Read through the ‘Resources’ section thoroughly. You may also post any queries on our FB Event page ( https://www.facebook.com/events/429077687178738/ ). Reach the centres by 10:00 a.m.
Bring your laptops, stationary and any electronic equipment such as video equipment, camera etc. required to complete your project. Bring a copy of your confirmation email containing your Team-ID without which you will not be allowed to participate in the event. In case you haven’t received the confirmation mail, please contact the Hackathon team at hacktheplan[at]gmail[dot]com with relevant details. WHAT IF I CANNOT MAKE IT TO THE CENTRE? In case you cannot make it, you will forfeit your participation in the event. So, don’t miss it. WHAT WILL HAPPEN TO MY SUBMISSION AFTER THE EVENT? All valid submissions (deemed valid by the panel of judges) will be made available online on www.data.gov.in post the event. All visualizations/short film submissions will be made available under the Creative Commons CC BY-SA. Please refer to the Terms and Conditions page for more details. All apps (mobile/web based and edutainment) will be made available under the GNU General Public License. Please refer to the Terms and Conditions page for more details. Please refer to the “Prizes to be won” page. WHERE IS THIS EVENT BEING ORGANIZED? WHERE CAN WE FIND FOOD AND BEVERAGES? Tea, Coffee and Water are available for sale at the venue and the canteens/food stalls/cafés in and around the institute will be open during the entire duration of the event. The purpose of this Hackathon is to let your creative juices flow through the rigorous 31 hour event. Hence, no formal accommodation is being provided at the centres. Feel free to use our comfortable tables and chairs to create makeshift beds when you need them! I AM AN ONLINE PARTICIPANT. WHERE CAN I ACCESS THE RESOURCES ABOUT THE PLAN? All the resources are available online. Also, all sessions with experts on the Plan will be webcast live as per the schedule which will be shared on the 6th of April. Please refer to the “Agenda for the Event” page for more information. The event is on the 6th and 7th of April, 2013. Please see the “Agenda for the Event” page for more information. WHEN DO WE HAVE TO REPORT? You need to report to the scene of your registered institute by 10:00a.m. on the 6th of April. Online participants please be at the ready by 10:45 a.m.
For the physical locations, the event ends with the Presentation Ceremony. For online participants, the event closes with the submission of entries at 01:00pm on the 7th. Winners among the online participants will be intimated a week after the event. WHEN DO THE RESULTS GET ANNOUNCED? At physical locations, the results will be announced at the end of the event. Please see “Agenda for the Event” for more details. For online participants, the results will be announced a week after the competition is closed. WHEN DOES THE ONLINE PARTICIPATION OPEN? Online participation opens simultaneously with physical locations i.e. at 11:00 am on 6th April. The deadline for submission is 01:00 p.m. on the 7th of April, which is same for both physical location and online participants. HOW MANY PEOPLE CAN BE PART OF MY TEAM? A maximum of 4 people can be on your team. The participating teams at each location will make a 2/3-minute-presentation/pitch to a panel of judges between 02:00pm-05:00pm on the 7th of April. The judges will decide the winning entries in each category. HOW WILL MY ENTRY BE JUDGED FOR ONLINE PARTICIPANTS? Post the event, all entries will be judged separately and the winners will be intimated via email. The judging criteria for online participants will be the same as our physical locations. HOW DO I REACH THE CENTRE? For more information, see the “Location Info” page. You cannot register for the event on the spot. Please register online before Registration closes. WILL THERE BE INTERNET CONNECTION AT THE LOCATION? We are trying our best to give you good connectivity at our centers, however, you we advise you to make arrangements for going online. Please see our “How to submit your entry” page for more information. You’ll have to be present at one of the 11 participating locations on 6th and 7th April 2013. Feel the buzz around you, immerse yourself in the enthusiasm of the participants and capture the memorable moments! 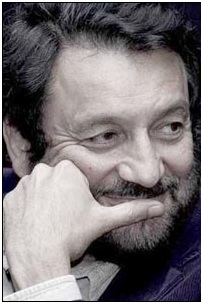 In return, you might just get an opportunity to chat with one of the best story tellers India has: the man who gave us a Masoom and a Bandit Queen with the same ease – Padmashri Shekhar Kapur. UnCover is a competition which is being undertaken parallel to our Hackathon, where we invite you to come to our centres during our event, interact with our competitors, get to know our inspiration and theirs and write about it! UnCover, like the Hackathon, is the brainchild of the National Innovation Council and the Planning Commission. When and where is this competition being held? Since your job will be to cover the event, please take a look at the “Agenda for the event” Page. You will obviously have to be present at the location physically to cover it. Please see the “Location Info” page for more information. Anyone can! There is no restriction of age or profession if you are enthusiastic about our event and would like a chance to see it up close. Be out event reporters! Is this a team event or an individual event? This is entirely up to you. You may choose to have a team or be a single reporter, but there should be no more than 3 people per team. Read through the ‘Resources’ section thoroughly. You may also post any queries on our FB Event page ( www.facebook.com/events/429077687178738/ ;). The top two stories in each category from around the country will get a chance to Hangout (on Google) with one of the most premier story tellers of this country, Mr. Shekhar Kapur. In addition you will also receive certificates of appreciation from Advisor to Prime Minister, Mr.Sam Pitroda and Deputy Chairman of the Planning Commission, Mr. Montek Singh Ahluwalia. Bring your stationary, laptops, video equipment, cameras and anything else you may require to report the event. Can more than one entry be submitted? A maximum of three stories in one or multiple categories stated above, per team, can be submitted. Can I be a part of the Hackathon and participate in Uncover? Do I need to be at the centres to cover the event? Yes, you do. Please be at the centres with your registration emails at 10:00 am sharp on 6th of April. What if I cannot make it to the centres? Well, unfortunately then you cannot be a part of this competition. Will we be provided food and beverages? Tea, Coffee and Water are available for sale at the scene and the canteens/food stalls/cafés in and around the institute will be open during the entire duration of the event. Will we be given lodging? The purpose of UnCover is to let your creative juices flow through the rigorous 31 hour event, hence, no formal accommodation is being provided at the centres. Feel free to use our comfortable tables and chairs to create makeshift beds when you need them! Yes, it is absolutely crucial for you to register at our www.data.gov.in/hackathon ;, or you would not be able to gain access to the event. For further information on registration please refer to our “How to Register” section for more information. No, you are not allowed to register on the spot. Are there any editing facilities on the campus? Unfortunately there are no editing facilities provided for your video edits, hence, please make arrangements on your own. When do I submit my story? You will have till 8th of April, 1200hrs to submit your final stories to us. How should I make my submission? Please read these general guidelines for submitting your entry at data.gov.in/hackathon. Detailed Submission Form - Please fill the detailed submission form available for Submission and Uncover the Event . Please enclose the filled document in the package. 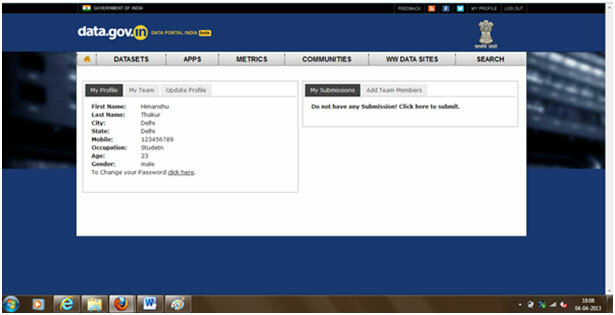 Step 1: The team lead or the team member who has registered your team will login with his/her registered account at https://data.gov.in/user/login . Step 2:Upon login, you will see the following page. Please click submit. Step 3: You should see the ‘Create Submission’ form pop up. Step 5: If you want to make another submission in different category or sector, please repeat the above steps. Step 6:All your submitted entries can be seen on My Submissions tab. 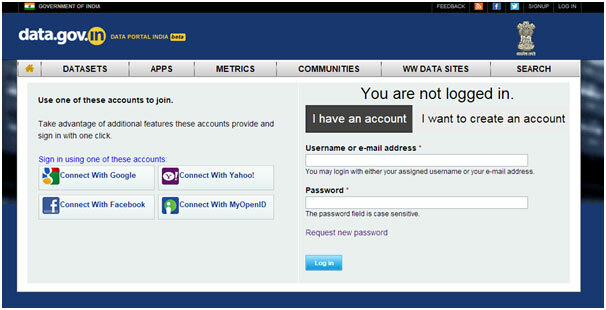 www.data.gov.in available at http://data.gov.in/terms-of-use . Participants are expected to be 13 years or above at the time of entry into the Hackathon. At least one member of the team has to be above 18 years of age at the time of entry into the Hackathon and s/he will be deemed the signatory authority for the team. The Hackathon is open to people from all walks of life regardless of professions. Participants are advised to form teams – ideally heterogeneous,consisting of people with different skill sets – up to a maximum of four members. All submissions to the ‘apps’ category have to created using 'open source' software and APIs only. All participants must register on https://www.data.gov.in/hackathon/ to be eligible for participation in the Hackathon. The organizers reserve the right to withdraw participation of any individual/team from the Hackathon. Each team participating at a physical location will do a 3-minutes-pitch to present their solution on the 2nd day of the Hackathon. Only complete submissions, as deemed appropriate by the evaluation panel will be considered for prizes. Upon completion of the pitches, top 5 winning entries will be selected by the panel of judges. The winning entries will receive cash prizes and/or certificates of appreciation as declared by the organizers. Entries from online participants and UnCover the Event participants will be judged separately and the results will be posted on the Hackathon website. Prizes for the same will be sent by regular post to the winners.